Do you like tacos at your house? We do here! 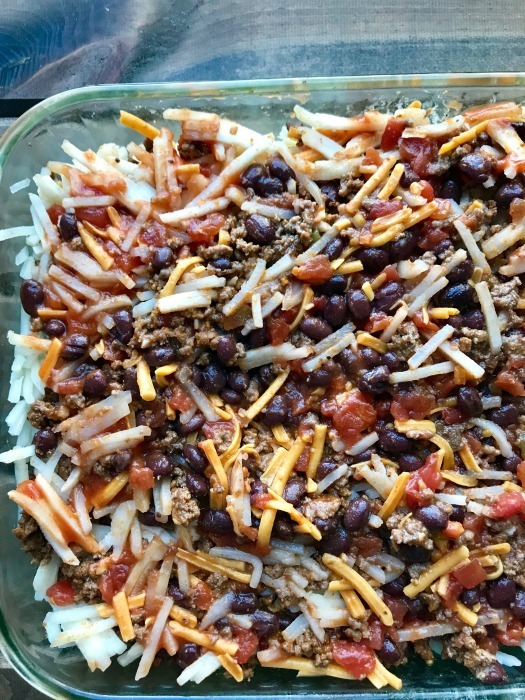 This Cheesy Taco Hashbrown Casserole is a delicious flavorful casserole full of your favorite taco flavors. We enjoy all things tacos over here. Any reason to eat meat seasoned with taco seasoning and add cheese and spicy tomatoes, I’m on it. 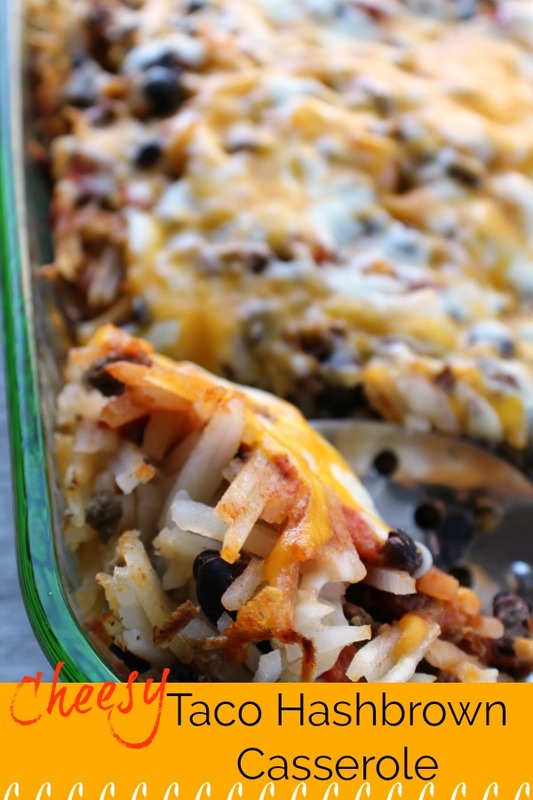 This Cheesy Taco Hashbrown Casserole is all that and more. 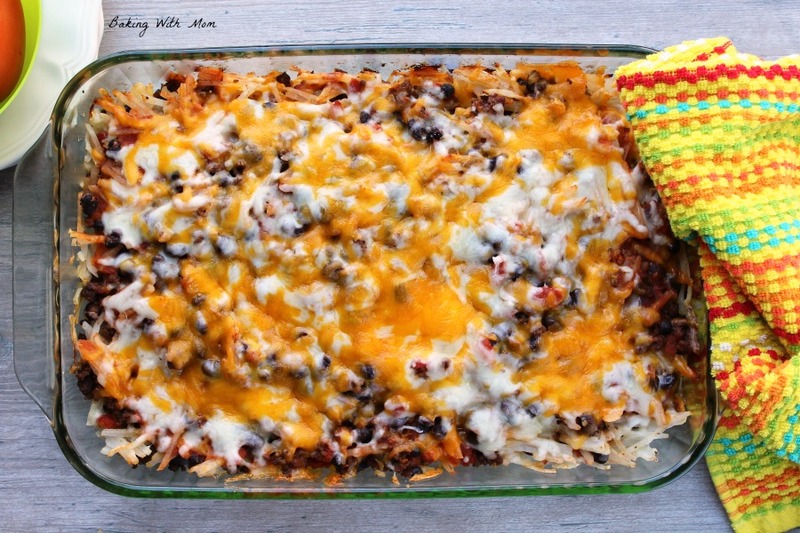 What is in cheesy taco hashbrown casserole? It actually can be pretty versatile based on what your family likes. I put in black beans, spicy tomatoes, taco seasoned ground beef and some tomato sauce. You could certainly add in green onions or green peppers. Of course, I also added cheese. Does this casserole take a while to cook? Yes, it does. I would recommend cooking it for 45 minutes or so. If you don’t mind a firmer hashbrown, then you can shorten the cook time. We like the hashbrown potatoes nice and soft. 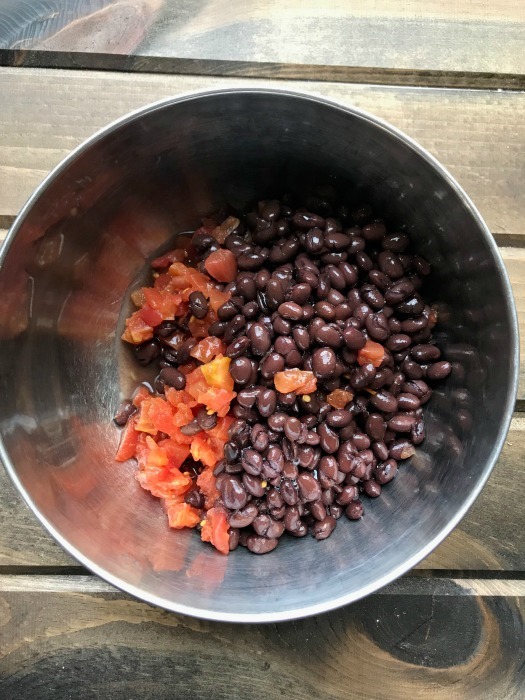 First, I put the drained black beans and drained spicy tomatoes in a bowl. I then added the tomato sauce and mixed in about 1/2 cup of shredded cheddar cheese. I then set the bowl aside. Next, cook the hamburger in a large frying pan. 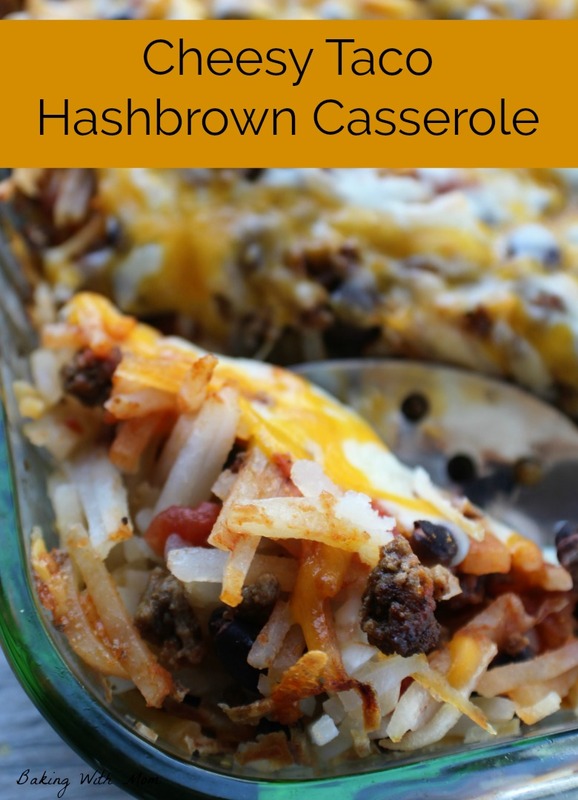 While the hamburger is cooking, put the shredded hashbrowns in a greased baking dish. After the hamburger is cooked through, mix the bean mixture and the hamburger mixture in the hashbrowns. Cover with foil and place in a preheated 375* oven. Bake for about 45 minutes. After the 45 minutes is done, I took the foil off and added more cheese. 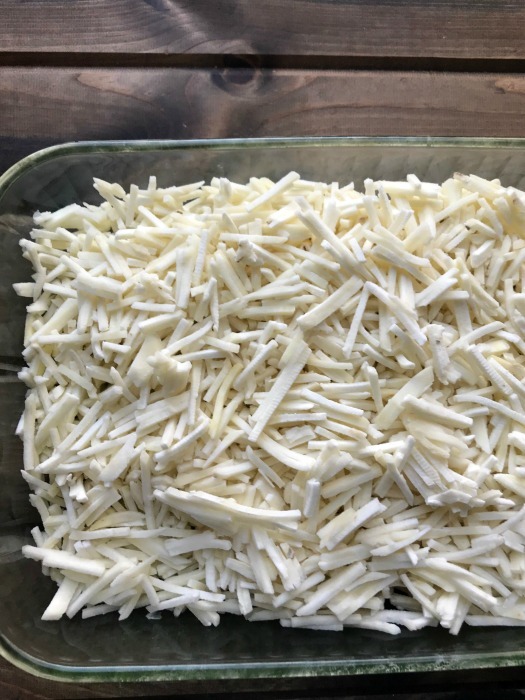 Because, hey, we all need more cheese right? 😉 Then let the taco casserole bake for about 7 more minutes or until the cheese is melted and bubbly. 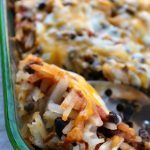 Cheesy Taco Hashbrown Casserole is a delicious taco casserole recipe using all of your taco favorites. Beans, tomatoes, hamburger and cheese combined with shredded hashbrowns.